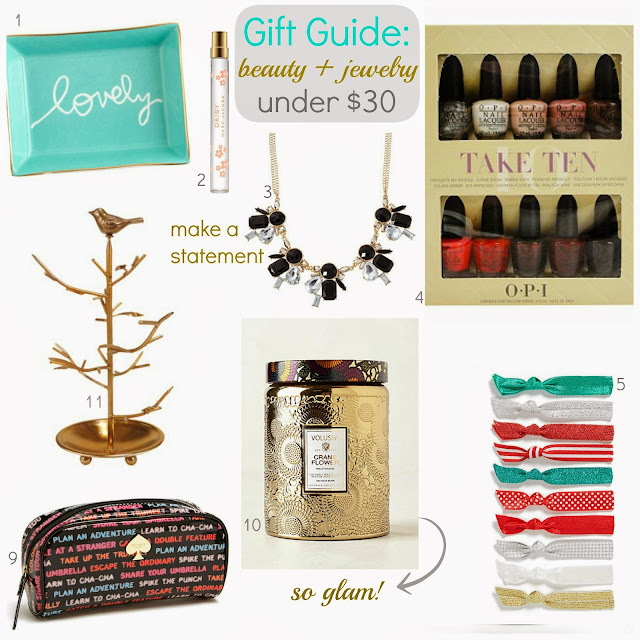 So excited to bring you the first of many Gift Guides this holiday season! I found budget buy items for the beauty and jewelry enthusiast on your list for a friend, sister, or co-worker and a few stocking stuffers along the way. I hope you enjoy! 1 This "lovely" tray is perfect for storing jewelry on your nightstand. 2 Who wouldn't want a little Marc Jacobs perfume in her stocking? 3 I was impressed with the latest collection of Target statement pieces and never would have guessed they came from your local Target had I not actually seen them at the store. 4 OPI mini set I purchased a similar set last year from Ulta for myself and some of my lucky friends. This year, they added different colors and be on the lookout for upcoming promotions and coupons to get it for even less! 6 Mini Brush Kit Super soft brush set in a cool metallic case for the travel or your purse. 7 Designer Anna Sui's Collection is so pretty and display worthy. 8 This may be the cutest (or at least one of them) ring holders I've seen! 10 This newest candle scent from Volupsa is so glam in this gold. How cute is the packaging of the Emi Jay hair ties? 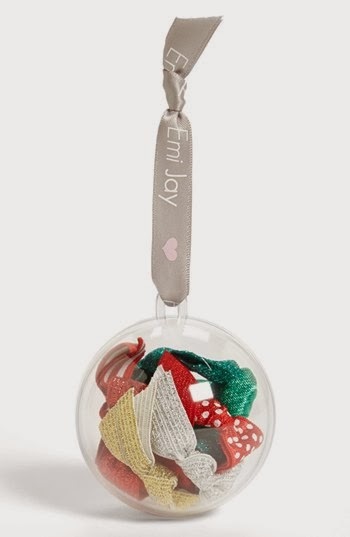 Add to the top of a gift or tree for bonus creativity! I purchased this box last year and it sold out in 20 minutes! The value is amazing - so don't miss it. Be online to use the link live exactly at the time specified. Thanks for sharing the Allure beauty box! I'm going to buy the Ultra repair cream and that is $28, so I may as well buy this whole set! The Voluspa candles are awesome. I'm a big fan because they smell great and you can't beat the packaging! Voluspa make the perfect candles - I'm a sucker for packaging too and they do all smell so good! A great deal for all of us beauty addicts - hope you can get one! I love the jewelry trey and the polish set is a great deal! 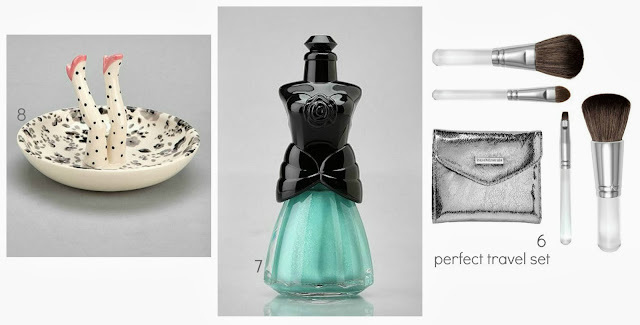 For the nail obsessed, you can't go wrong with this set and the jewelry tray is one of my favorites! 50% off ALL Boots + Bags at Forever 21!! Nordstrom Half Yearly Sale - under $30 picks! !